#tbt. As we prepare for our 25th anniversary celebration, we came across this Hyde Park Living article from 1993. 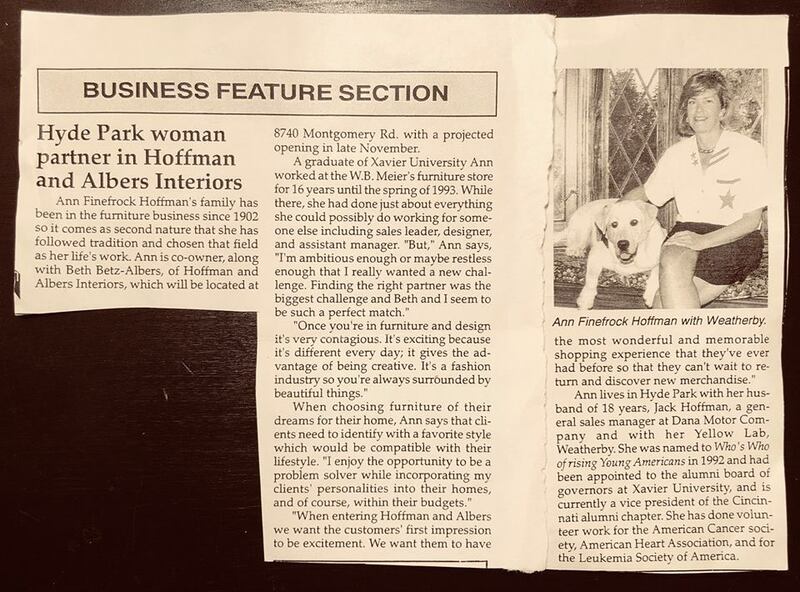 "When entering Hoffman & Albers Interiors, we want customers' first impression to be excitement. We want them to have the most wonderful and memorable shopping experience that they've ever had before so that they can't wait to return and discover new merchandise." Twenty-five years later, that sentiment remains the same. Newer Post25 Years - Wow!